You'll be £13.50 closer to your next £10.00 credit when you purchase Flight Craft 11: English Electric Lightning. What's this? Developed to intercept increasingly capable Soviet bombers such as the Tupolev Tu-16, Tu-22 and Tu-95, the English Electric/BAC Lightning had a phenomenal rate of climb, a high ceiling, and a top speed of over 1,300mph at 36,000ft, and is a favourite of both aviation enthusiasts and aircraft modellers alike. This homage to the only all-British Mach 2 interceptor fighter, follows previous Flight Craft book formats, in that it is split in to three main sections. The first section offers a concise design and development history covering the six main single-seat fighter and two twin-seat trainer Marks; from its first RAF operational squadron deployments in 1960 through to its frontline retirement in 1988, and coverage of the only other two air forces to operate the type, Saudi Arabia and Kuwait. This is followed by a 16-page full colour illustration section featuring detailed profiles and 2-views of the colour schemes and markings carried by the type in RAF, Royal Saudi and Kuwait Air Force service. The final section lists most of the plastic model kits, accessories and decal sheets produced of the EE/BAC Lightning in all the major scales, with photos of finished models made by some of the UK's best modellers. As with all the other books in the Flight Craft series, whilst published primarily with the scale aircraft modeller in mind, it is hoped that those readers who might perhaps describe themselves as 'occasional' modellers, or even simply aviation enthusiasts, may also find that this colourful and informative work offers something to provoke their interests too. For the Lightning fan and the model builders who like to look at the nice pictures of their favorite plane and examples of beautiful home build scale models this is a nice and informative publication. If you are at all interested in modelling the Lightning then this is an excellent source. If not, the general history is good, and does fill 57 pages, but you might find that a bit too much space is dedicated to squadron liveries. It is a fine balancing act to produce a single volume on an aircraft type that appeals - and sells - to both the hardened enthusiast and the dedicated modeller. That the volume here largely succeeds in this aim is a tribute both to the authors and to their choice of the subject matter. A great little reference for aircraft enthusiasts and modellers alike. 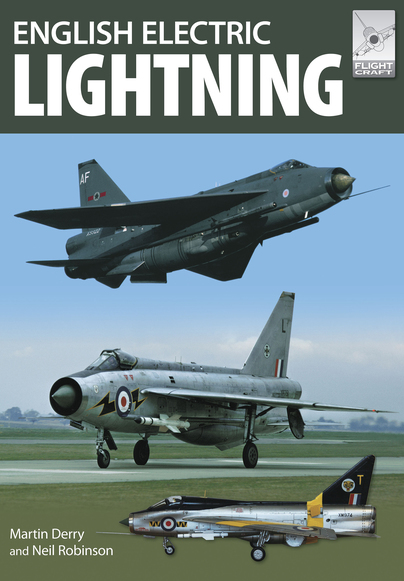 Highly recommended – a detailed reference for anyone interested in the unique Lightning interceptor and a must for anyone interested in building a scale model of the type. This is a well written book that should stimulate your interest in this machine. full colour drawings, together with outstanding photographs, many also in full colour. Highly recommended for modellers, but also an excellent book for anyone with an interest in aviation.